Check out our Special Valentines Menu here. 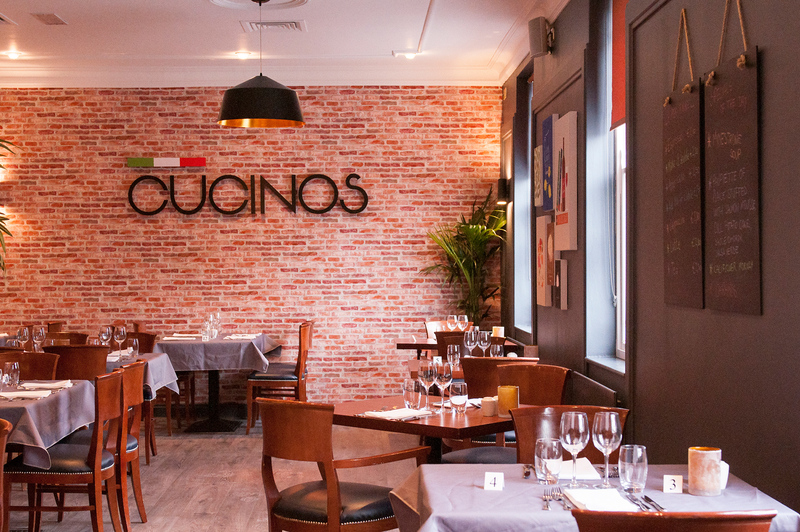 Cucinos Restaurant can accommodate up to 70 people which is perfect for large groups as well as intimate couple dining. View our extensive food menu that is sure to cater for all tastes. All our wines are stored in our temperature-controlled wine rack, perfect for your arrival. We’re ready and waiting to serve you our finest meals. To make a reservation, please call us on (01) 866 0118 and we will gladly assist you with your booking.